Local citation Building is a method to visible of your business on the web. It consists of some combination, these combinations can be of your company name, phone number, address, zip or postal code, and website address. In Search Engine Optimization citation is consider very important factor to optimize business and websites. Similarly, you can make the different combination of Business Local citations. There are different types of citation to promote your business. According to Moz Following are some important local citations types. Local business and services owners, advertiser and marketers can create citations on a variety of important local business data platforms which exist to publish this type of data. Most popular platforms include Google My Business, Acxiom, Localeze/Neustar, and Infogroup. You can also build listings on famous social and review-oriented sites like Facebook and Yelp. More to building local business listings on the big local business data platforms that serve all industries, your company can seek to build listings on websites that are specific to its unique industry and geography. Some examples of these platforms would include the chamber of commerce websites or the websites of professional associations and guilds. You can also do supplementary citations on a wide variety of publications, including blogs, news sites, apps, maps, government databases, and more. You can either intentionally develop these citations for your business, or simply earn them based on merit and public interest/sharing of information. By using Moz local software you can do all types of above citations. After doing local citation. Checking of citation is necessary either our citation purpose achieved or citation is done properly or not. There is the number of citation tools which we can use to check the citation. Moz Local search is a good tool to check your local listing. You need to just put your business name and zip/postal code. The local citation is extremely important in driving high-quality traffic to your local business. Local citation gives customers with additional information about the company before they click on the search results. The biggest advantage is it provides organic results, narrowing down your clicks to people that are more likely to convert by giving them an address and an aggregate review score. 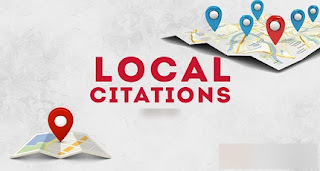 Local citations building or business citation should always be a priority in order to drive traffic to your site and raise your conversion rate. get listed local citation sites. Citation building is very good for small businesses that want to be found in local searches since search engines like Google and Bing use the information they find in citations to list your business in search results. These are some famous and high-quality sites here you can be listed your business as a local citation building.